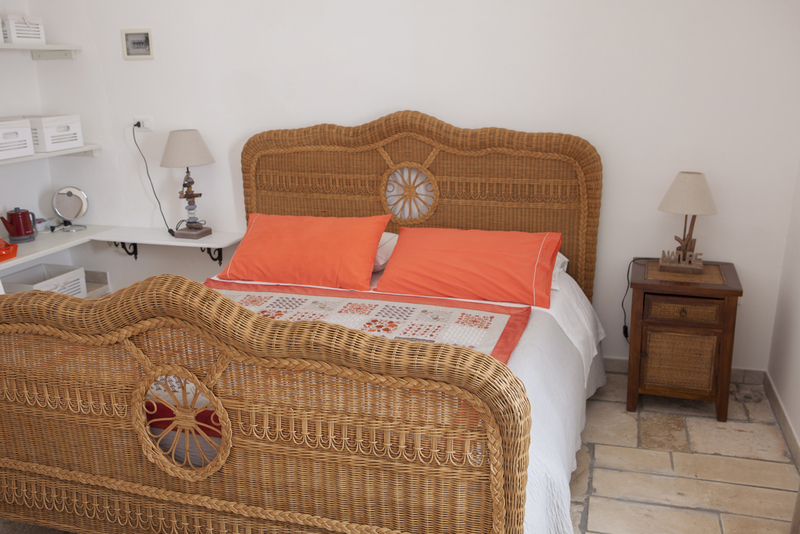 These comfortable rooms are tastefully furnished with wrought-iron beds and gorgeous floors, some of them have a beautiful view over the lawn and the private courtyard.  What makes us one of the best places to visit in Puglia? Despite other Ostuni hotels we didn’t touch anything of the original building and each one of our 16 room have been just improved but not changed. You’ll sleep in a vintage atmosphere without renounce to modern comfort: all of our rooms offer air conditioning, free toiletries, tea or coffee maker, and free WiFi. We have five types of room you can choose for your vacations, designed to meet all types of needs. 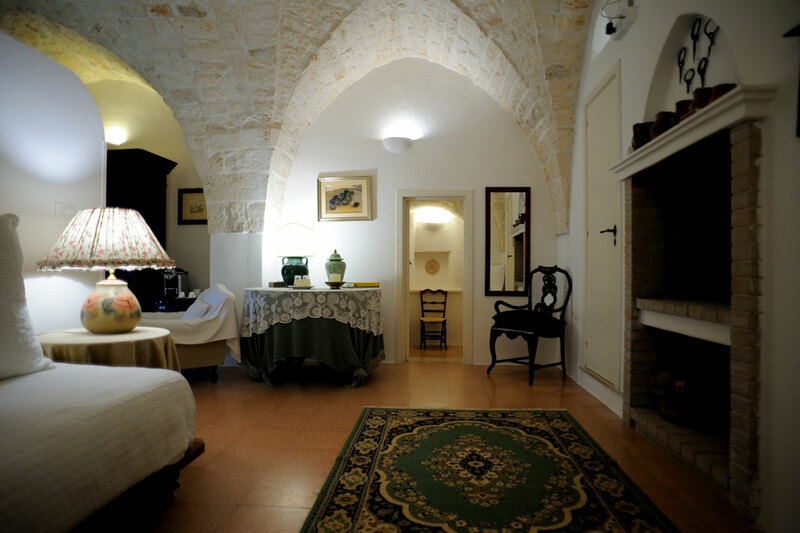 Find out what does it mean to have one of the most authentic Puglia holidays sleeping in an ancient room furnished with vintage furniture and all the comfort of a luxury hotel. 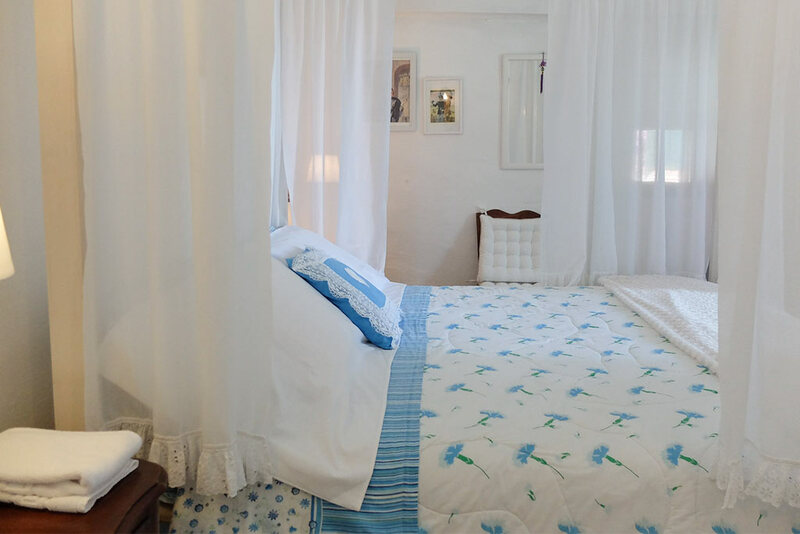 Imagine waking up in the morning in the rustle of olive branches and the chirping of birds who lives the countryside of Ostuni Italy. 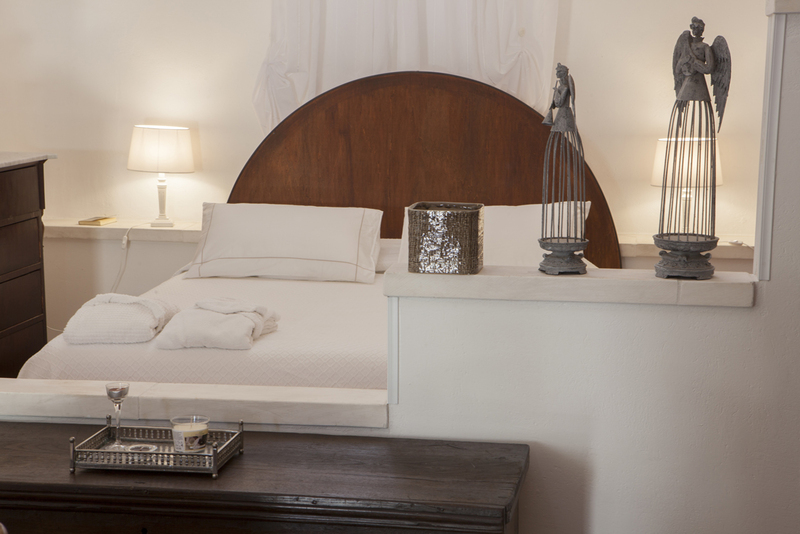 This is Masseria Il Frantoio in Ostuni: an experience you will always remember. 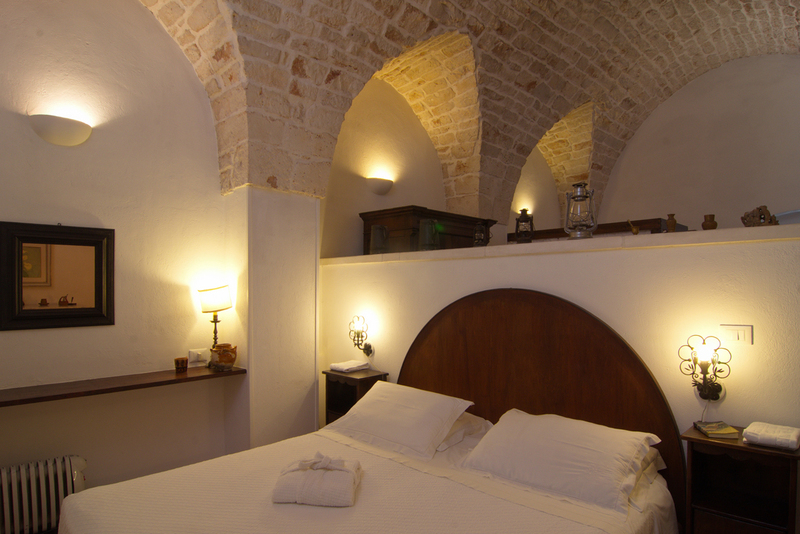 Like a real masseria Puglia, in our rooms you will walk on a ancient floor, you will admire the high vault over your head, and you will sleep in a romantic wrought-iron beds. 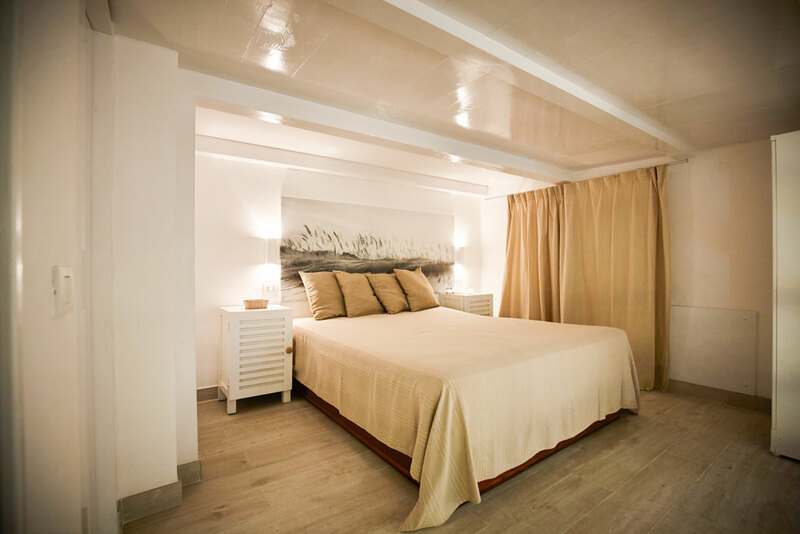 Moreover six of our rooms have an open fireplace or a wood oven for a romantic moment of relax. Our respect for the original building makes Masseria il Frantoio one of the region’s original fortified farmhouses you should sleep once in a lifetime. 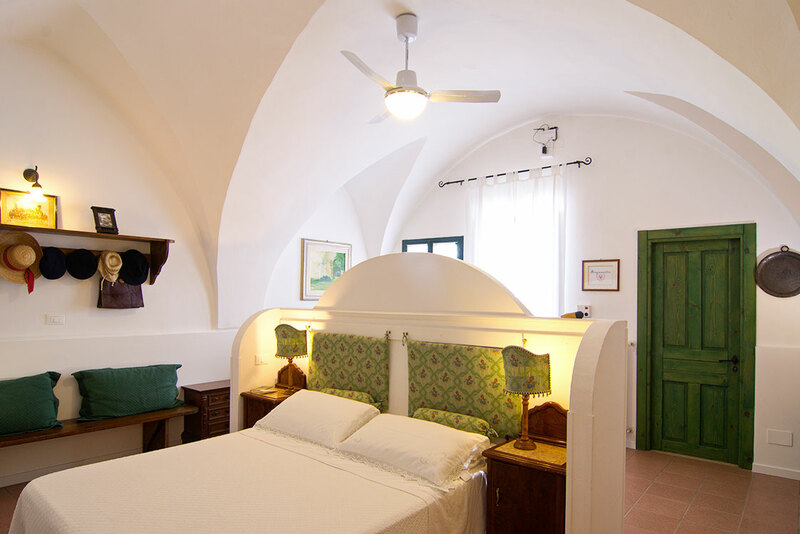 The rooms are surrounded by the picturesque countryside of Ostuni, Italy, and its valley traversed by stone walls that unroll by olive trees, orange groves, orchards and wild plants. Our guardian will wait until the last guest before you blow out the candles that illuminate the entrance to the farm. Because in our masseria in Ostuni, everything is done with love.